Take an all-terrain vehicle for a drive in a trial 4x4 area. The idea behind this activity is to learn how to drive in extremely testing conditions. Participants are supervised by an expert instructor to give the relevant instructions with demonstrations and guarantee safety at all times. 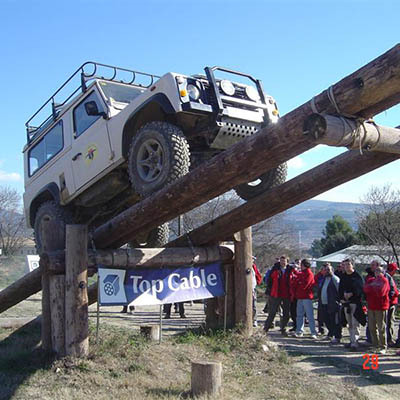 This is not a speed test: quite the opposite as the vehicles have to overcome several obstacles, taking participants to the limit of their physical abilities.